Sabh Infrastructure , a branded enterprise is known for its quality and reliability, was setup in 1985 by Col. J.C Sabharwal. Ever since Sabh Infrastructure has set numerous benchmarks in ultra-luxury property development across whole of Delhi and Goa.Every project we endeavor , it is inherent in our philosophy to study the local conditions to protect and improve the environment, while creating sustainable development with nature.Our sincere efforts and will to always do something new and better, has helped us establish ourselves as a leading developer in India.As a symbol of quality and reliability, we will continue to lead in the property realm with superiority and credibility from a professional team with a distinctive business management philosophy. Backed by a massive inheritance of expansive knowledge and versatility, Mr. Gautam Sabharwal has given the Indian Real estate Industry a face-lift of global proportions.He is a graduate from Delhi University who joined his father at the age of 19. His meticulously developed skill-set and implicit knowledge, clubbed with acclaimed educational qualification has launched him to a top brass status in the industry. He is a dynamic & a visionary man with his efforts being acknowledged with success of providing luxury & high quality living spaces throughout Delhi/NCR and Goa. Mr Gautam Sabharwal along with his entire team has completed more than 400 residential & commercial projects in a span of 30 years. To create optimized living and work spaces through constant innovation, efficient design and delivery of high quality products so as to bring true value and satisfaction to our clients. 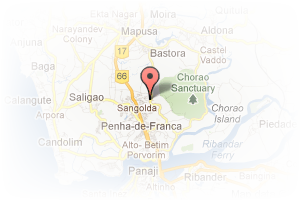 Address: Near copperleaf, Porvorim, North Goa, Goa, India. This Builder Profile page for "Sabh Infrastructure Ltd" has been created by PropertyWala.com. 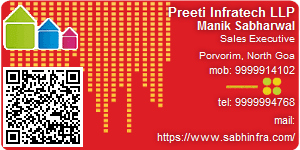 "Sabh Infrastructure Ltd" is not endorsed by or affiliated with PropertyWala.com. For questions regarding Builder Profiles on PropertyWala.com please contact us.